As Kansas City’s Top Rated Local® door installation company, we’re committed to providing you with the resources you need to make prudent investments in your home. 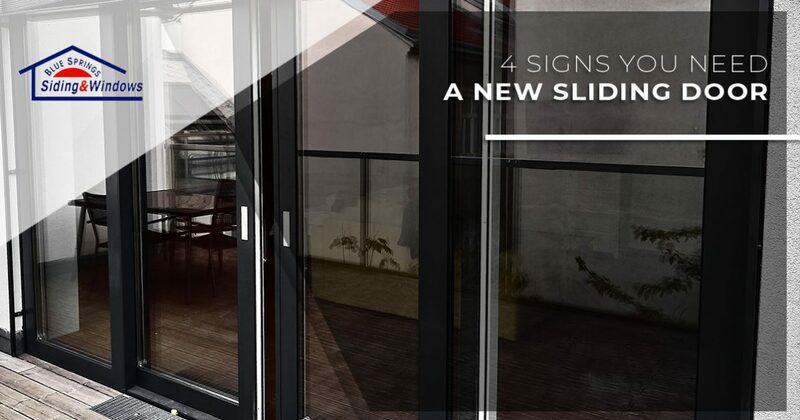 In today’s post, we’ll explore four of the many signs indicating that it’s time to invest in a new sliding door. When you’ve finished reading today’s entry, get in touch with a member of Blue Springs Siding and Windows to learn more about what we can do for your home! With affordable financing options and knowledgeable staff members, you can count on us to help you find the perfect door for your home. Cracked glass is a definite sign that you need a new sliding glass door. In addition to compromising your home’s aesthetic appeal from indoor and outdoor vantage points, it poses a massive safety hazard for anyone who closes the door with too much force. Moreover, thieves and intruders can easily use cracked glass to their advantage if they’re looking for an easy way to enter your home. If your sliding glass door’s glass is cracked, then come to Blue Springs Siding and Windows where we’ll help you find a replacement that perfectly fits your existing frame! Do you have a difficult time opening or closing your door due to a problem with the track? Does the lock get stuck whenever you try to open the door? There’s almost nothing more frustrating than a door that won’t open or close when you need it to, and you don’t have to settle for repairs that may not last. Instead of fighting with a broken door, let us help you find a new sliding door that fits your needs and your budget. If your sliding door is more than 10 years old, then it’s probably time to consider investing in a replacement. Older doors were constructed using out-of-date glass that allows ultraviolet rays to heat your home throughout the day, which in turn makes your air conditioner work much harder than it should. Additionally, many older sliding doors were not manufactured using anti-scratch coatings, which means that your door may have more than a few blemishes that detract from your home’s beauty. 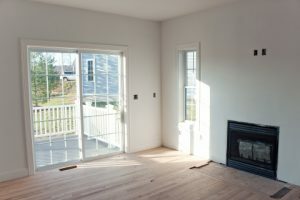 We mentioned one way in which older sliding doors can compromise your home’s efficiency in the previous section, but that concern primarily applies during the warmer months of the year. A more concerning problem pertains to your door’s seal, which can negatively affect your utility bills throughout the year. If you notice a draft of air coming through your door throughout the year, then come to our showroom and let us help you find a replacement that won’t send your energy bills through the roof. Contact Our Sliding Door Installation Experts Today! If you would like to learn more about our services, then we invite you to get in touch with us by phone, or by filling out the form at the bottom of this page. Our doors are always open here at Blue Springs Siding and Windows, and we hope to help you with a sliding door installation soon!